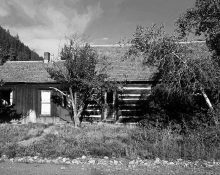 These buildings were generally constructed of round logs, hewn logs, or log slabs considered to be mill-waste, and built as basic shelter for early Aspen settlers. Later examples copied this style. 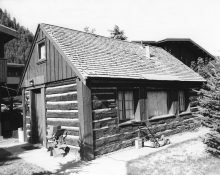 The log members were laid on alternating tiers, implementing a variety of notching techniques for joinery. The details of the log connections and the character of the log cuts themselves are important features. The spaces between the logs were filled with “chinking” consisting of a mixture of animal hair, clay, straw and other natural materials. 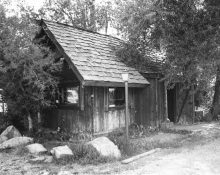 The roofs were constructed of readily available material, including canvas, wooden shingles, and sheet metal. 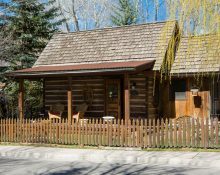 In Aspen, some of these log structures were later updated and covered with milled wooden siding and details.